I am thrilled to share this exciting news with you! Men of the Cross has been awarded a B.R.A.G. Medallion! Can you say ‘awesome’? 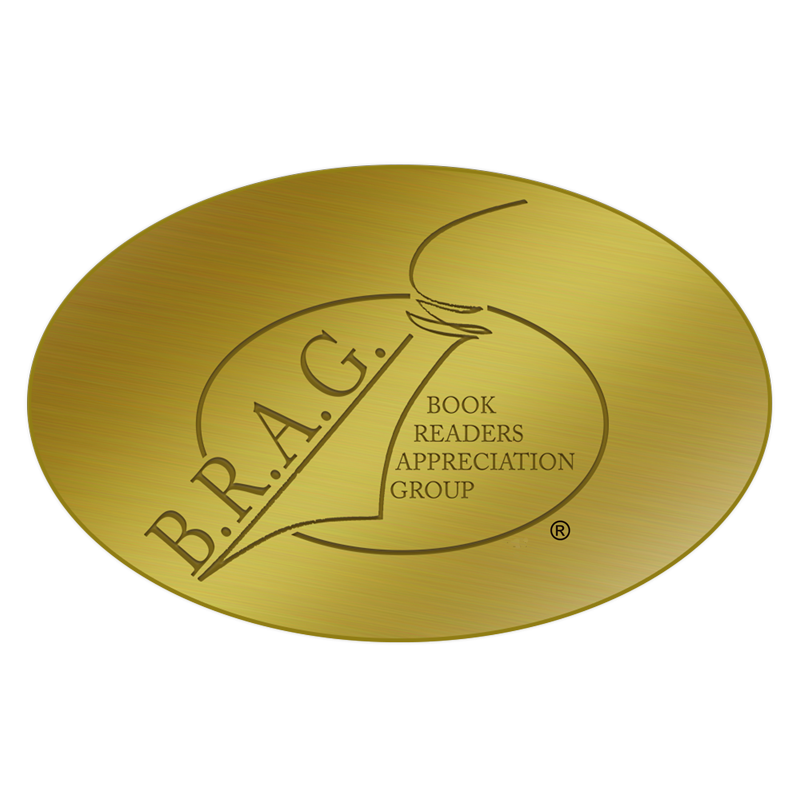 When the email arrived from indieBRAG president Geri Clouston I stared at the subject line “The B.R.A.G. Medallion.” My heart went through the roof. I had to read the email 5 times before I believed it. Let me tell you why this is such a tremendous honor. Did you know that over 70,000 new ebooks have been published on Amazon in the last 30 days? That is insane! I thought it was bad when the number was 30,000! Being ‘discovered’ is especially difficult for indie, or self-published, authors. indieBRAG – the Book Readers Appreciation Group – has a two-fold mission: “to discover new talented self-published authors”; and to “provide an independent, broad-based and reader-centric source to advise the public which indie book merit the investment of their time and money.” How do they do this? There is a selective review process: 50% of books submitted for review do not make it past an initial screening where indieBRAG looks for minimum standards of quality and content. If a book passes phase 1, it is read by a several individuals who look at plot, writing style, characters, copy editing, dialogue, and cover/interior layout. Forty percent (40%) of books are rejected. Ultimately, only 10% are awarded the B.R.A.G. Medallion. WOW! I can’t tell you how great it makes me feel to be with that 10%! Learn more about indieBRAG on their website. Medallion honoree Alison Morton has a great interview on her site with President Geri Clouston. 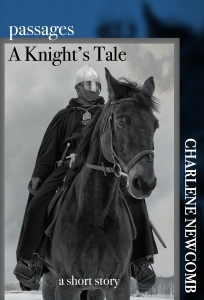 Indie authors need your support. Check out all the honorees (by genre). I bet you might find a new book to love. 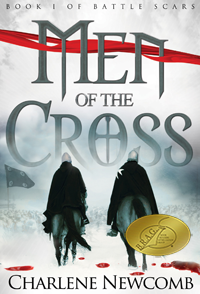 And while you’re there, go find Men of the Cross in the Historical Fiction section. indieBRAG get credit for the sale. 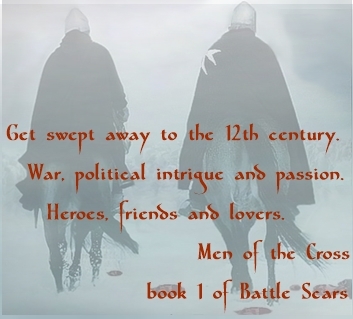 Men of the Cross, is available in print and for Kindle & Nook, and via Smashwords in multiple formats. Thank you, Matthew!! It is very exciting and such an honor. I don’t think I’ll be finished at least until next spring Char, so you’ll probably be done before me. Good luck with it, it feels great when you realise you’ve written TWO books! Absolutely! It’s always a rush of adrenaline when you write those magic words “THE END.” I’m hopeful the revisions go quickly – getting almost weekly feedback from my writers group helps, especially when they say “I wouldn’t change a thing.” 🙂 I’ll keep my fingers crossed for both of us. Yes, you can BRAG – this is a terrific honor! Congratulations!! Thank you, Beth! And thanks for your encouraging words. Thanks so much, Stephanie. And thanks for stopping by my blog!